4.65 out of 5 based on 516 reviews. 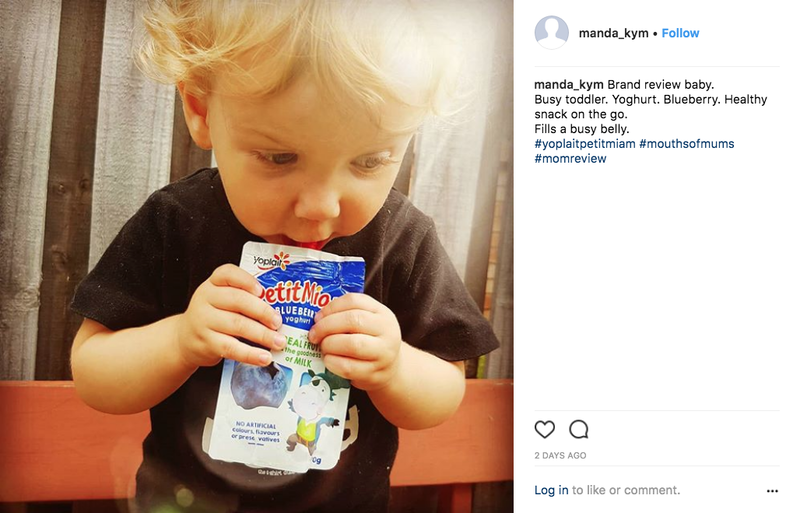 Which is why we are so excited to announce that we’ve teamed up with Yoplait Petit Miam to bring you the Yoplait Petit Miam product review! 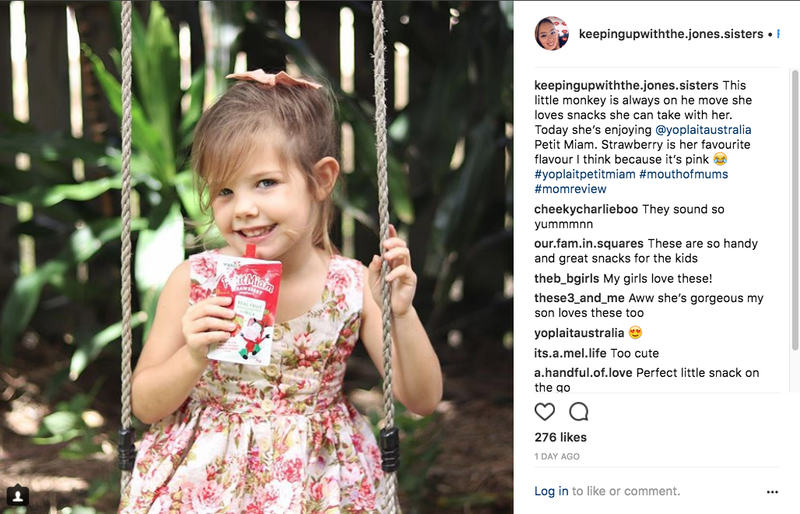 We’ll be sending mums all over Australia into supermarkets with vouchers to try the range from Yoplait Petit Miam and then tell us what they think. Vanilla, Fruit Salad, Banana, Strawberry, Blueberry, Plain, Apple & Blackcurrant and Beetroot & Strawberry. 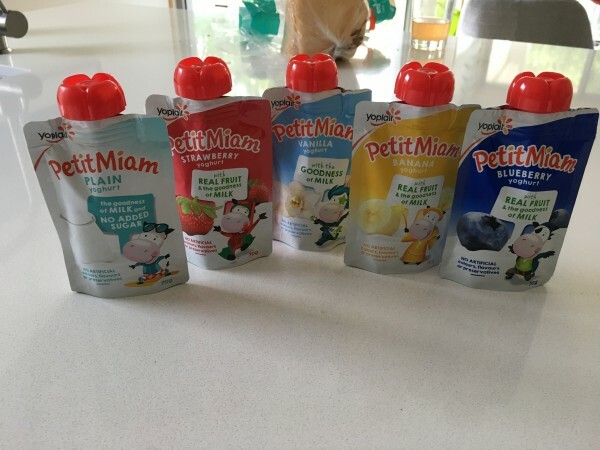 The Yoplait Petit Miam Range is available nationally – in Coles, Woolworths and select Independent Grocers. 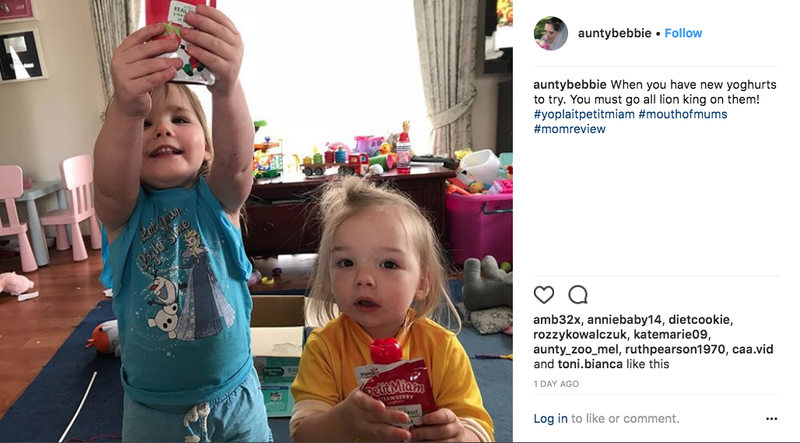 Mums selected to trial and review Yoplait Petit Miam with their little ones have been sent a voucher to shop for a range of flavours in the Yoplait Petit Miam range. 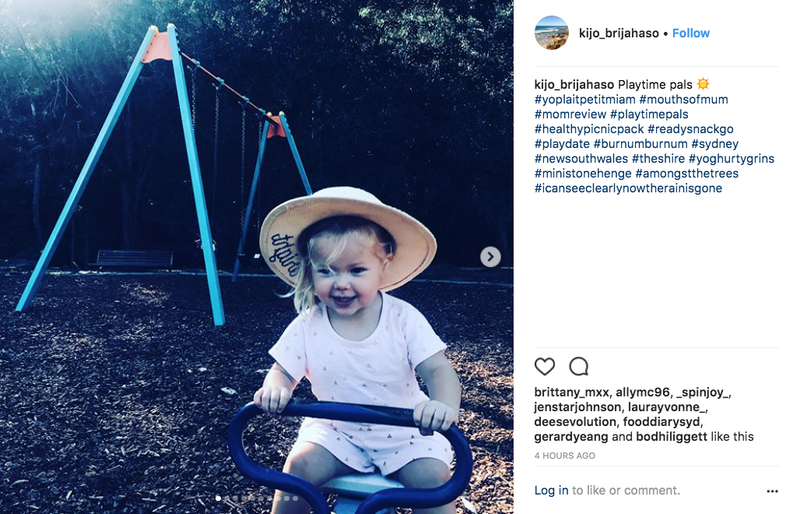 They’ll have their children try them at home or out and about and then visit this page to post their ratings and reviews. Keep an eye out to see what they think! 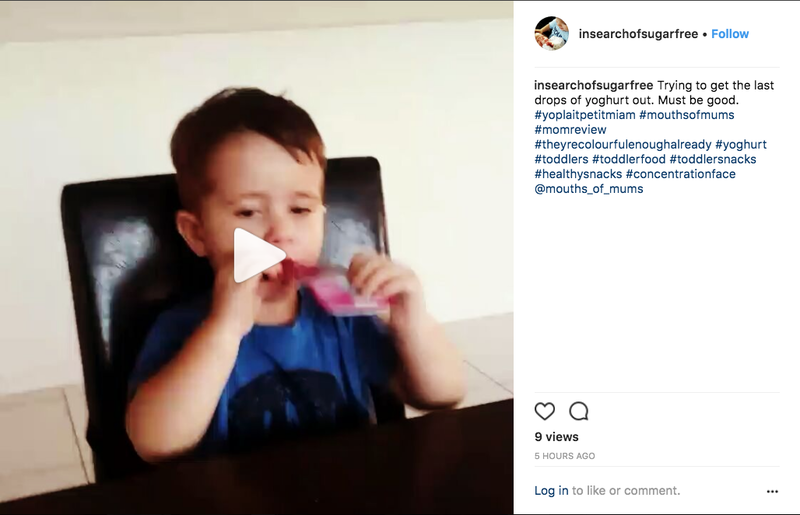 *Yoplait Petit Miam Strawberry yoghurt has 7.7% sugar – this is more than 30% less sugar when compared to the average flavoured yoghurt (which has 11.3% sugar). Based on AusNUT 2011-2013 Food Nutrient Database. It’s a hit for our Punks! Our Punks have different palates, one lives for her blueberry yoghurt and the other loves her “malilla”, as she calls it. 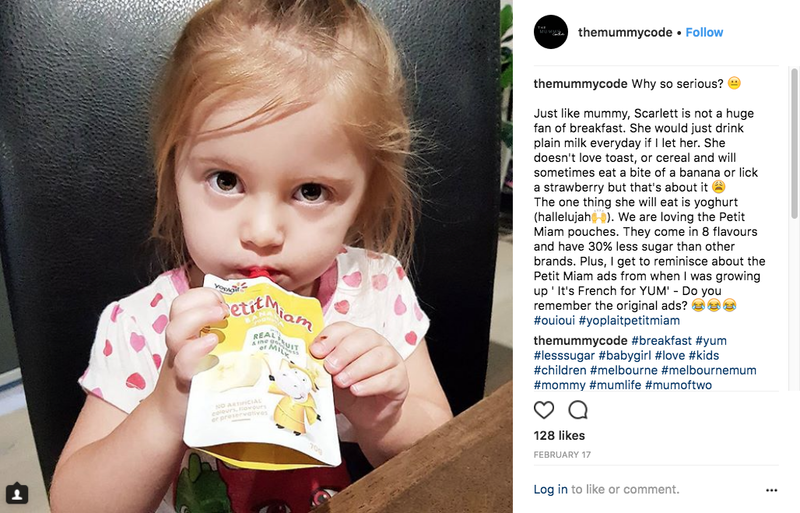 I was going through so many of these every week that I tried buying big tubs of the flavours they love but in different brands and putting it in those reusable pouches to save a bit of money. It didn’t go very well, and I figured that it was the petit miam formula that was the hit! So now I’m back to Miss Blueberry having at least 3 a day and Miss Malilla not far behind with at least two a day! Wondering if I should buy shares in the company! ???????? I buy these every week. My children love them! Favourite flavours are strawberry, blueberry and vanilla. 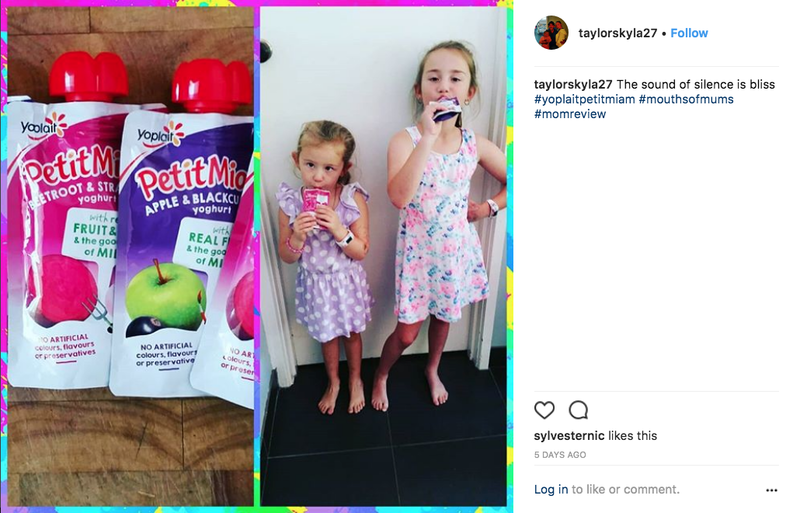 There great for a snack at home and also great for the children’s lunch box for a healthier yummy treat, just pack them with an iceblock and your all set. I would recommend these to all mums as a healthier choice for a snack rather than potato chips, lollies and chocolate. Big thumbs up Petit Miam! I love the easy to carry, easy to store pouches. 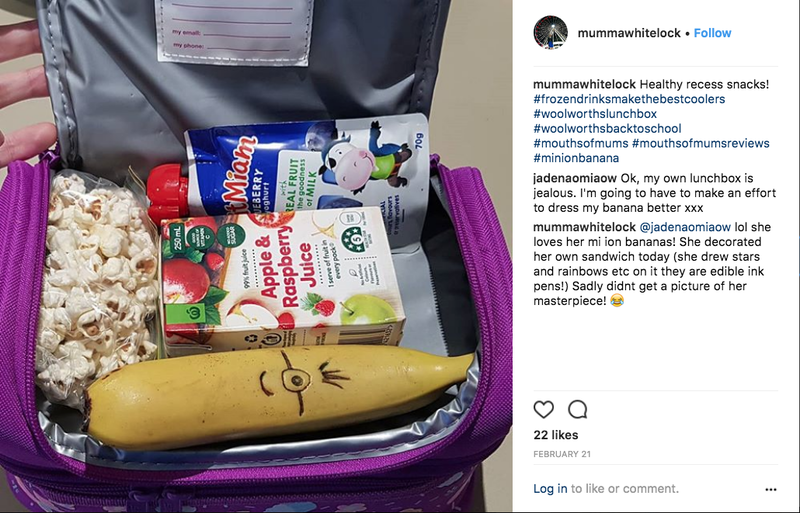 Fits into lunch boxes very easily and it isn’t necessary to worry about remembering to put in a spoon as the little people can feed straight from the pouch. Lids are easily removed by little people themselves making them feel more independent. There is a variety of flavours to choose from making it an easy alternative for offering everyday. Having a lower sugar content makes this an ideal snack. 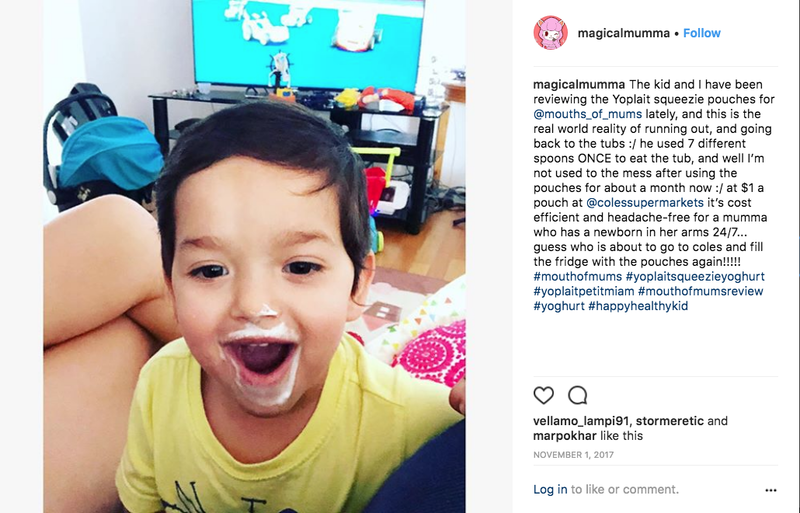 My kids have all been huge yogurt fans, over the years we have tried and tested many flavours and brands. Petit miam is smooth, creamy and jam packed full of satisfying flavours. 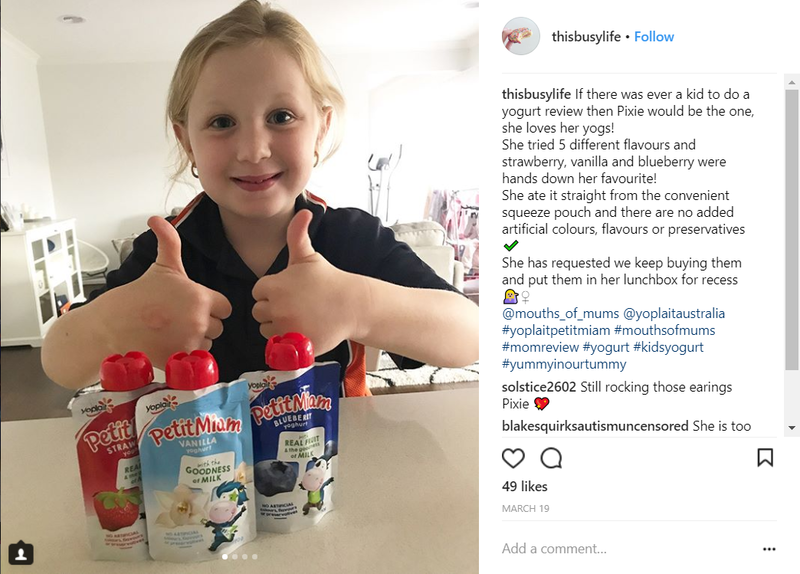 Not only do they contain real fruit, but having no artificial flavours, colours or preservatives gives me peace of mind that my children are able to enjoy one of the best yoghurts on the market. Yoplait petit miam is delicious. 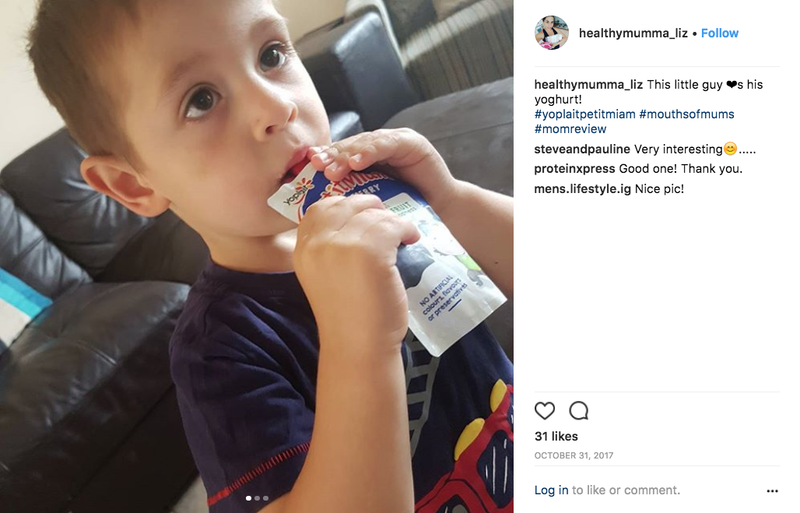 My 2 boys loved the petit miam range of yoghurt pouches. They love the blueberry, banana, and strawberry ones. New lunch box must have! Happy for natural yoghurt finally! Low in sugar and not creating a dependency in sweet tastes this yoghurt is mild but a great form of natural probiotics in a convenient snack product. We freeze them to take on daytrips – keeps our sandwiches cool and defrost in tine for morning tea! 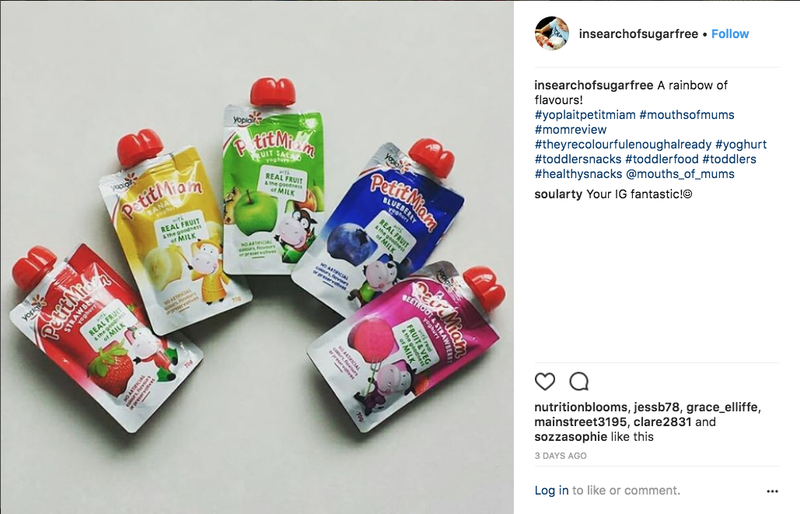 My kids love all the diffrent flavours and i love the convenience of the pouches. Definitely a great snack that the kids love. Can’t go wrong with offering them to the kids and they and never once rejected it as a snack. There is no need to push for them to finish the pack as it will definitely be gone. A healthy option that both the parents and kids love, yummy and convenient. We love the variety in flavours and the colour helps the kids identify their favourites. The smaller size is ideal as an after dinner treat when the kids start to use their second stomach for treats. The smaller size is ideal for lunchboxes too. The pouches are easier to handle for the kids as they can hold them in their hands and either squeeze onto a spoon or eat straight from the pouch when on the go. I definitely find there is less mess, whereas with the pots they get it on their hands and table whilst trying to scrape the last bit out. The kids love the tropical flavour the most. 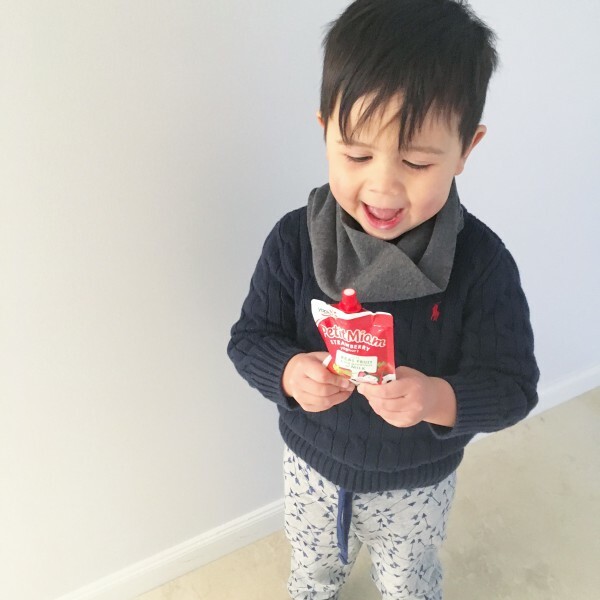 I love the convenience of the little squeeze pouch – easy to take out for snacks. There is a nice variety of flavours to choose from. I love how this has less sugar than other yoghurts. It’s a delicious snack that my son adores. My son loves them so much I’m glad he can’t open them himself, otherwise he’d eat them all in one day! 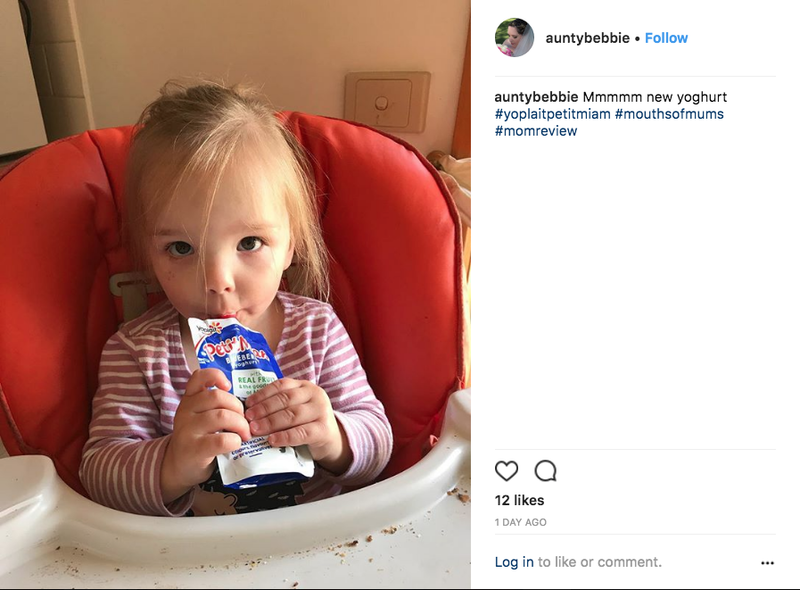 We love Yoplait Petit Miam, the kids call them petit yum! There are so many great varieties and my boys take one in their lunch boxes every day. It is within the schools healthy eating guidelines. With less sugar, calcium for their growing bodies they are a staple in our home. We highly recommend Yoplait Petit Miam. My son seriously loves banana yoghurts- and this one is the best. 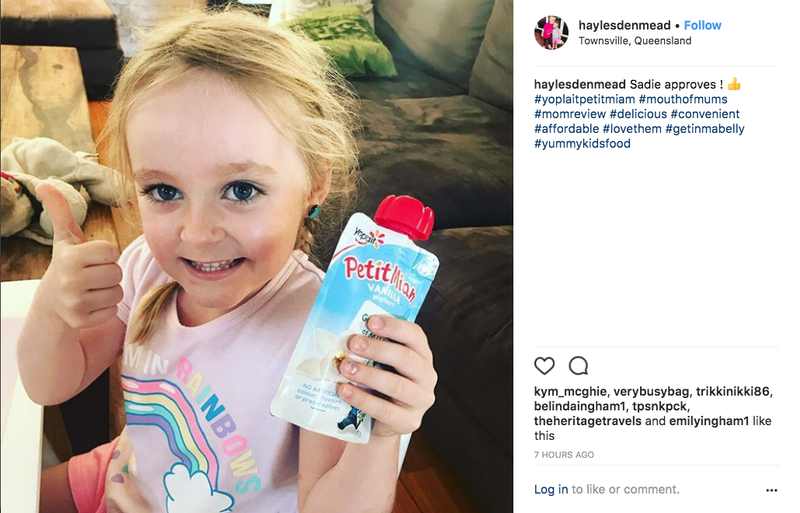 Yoghurt is a sure fire winner in our house; the kids love it. I love this yoghurt in particular as it is lower in sugar than most other products on the market. The kids also really like the range of flavours available. A great snack to have on hand. 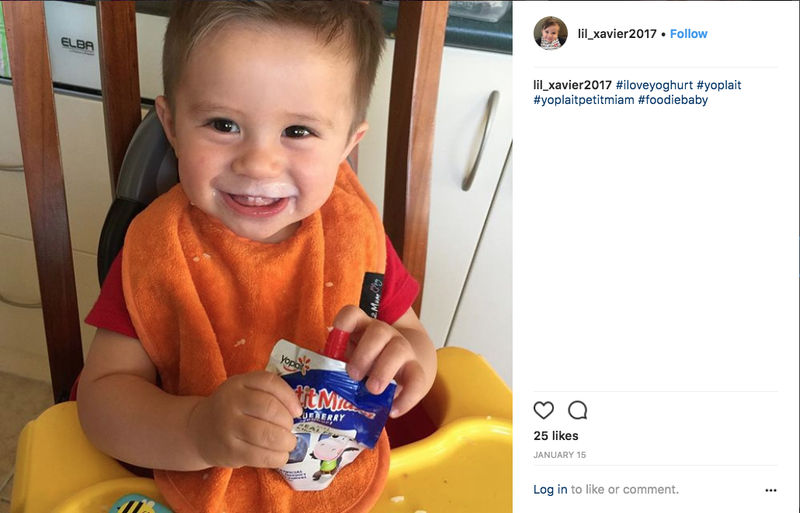 We love the Yoplait sachets in our household. We are always on the go and these are an easy snack to grab from the fridge and eat on the go. I’m not just talking about the kids either! Mum and dad quite often enjoy these as well. They are tasty and nutritious. Flavoursome and creamy and healthy!!! 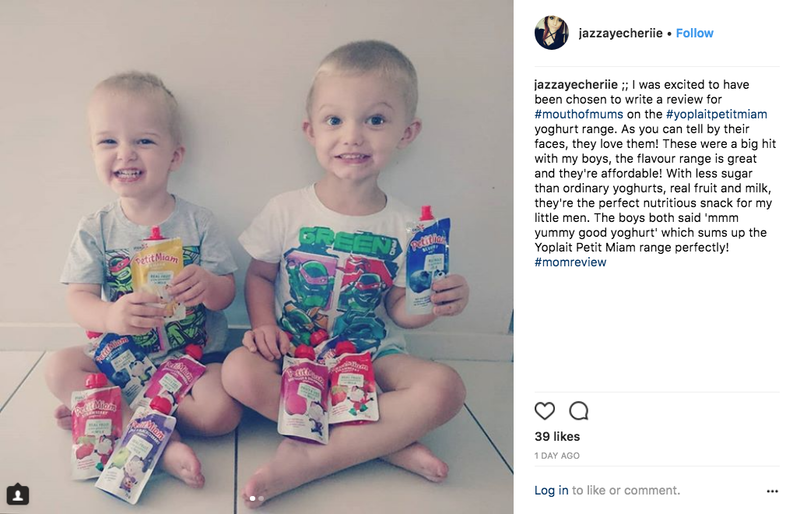 Easy squirt packaging, no mess is appealing for any Mum. My kids are fussy when it comes to yogurts, but loved all the flavours in these! I feel good about them eating it too, knowing it’s lower in sugar than most of the other brands on the market! 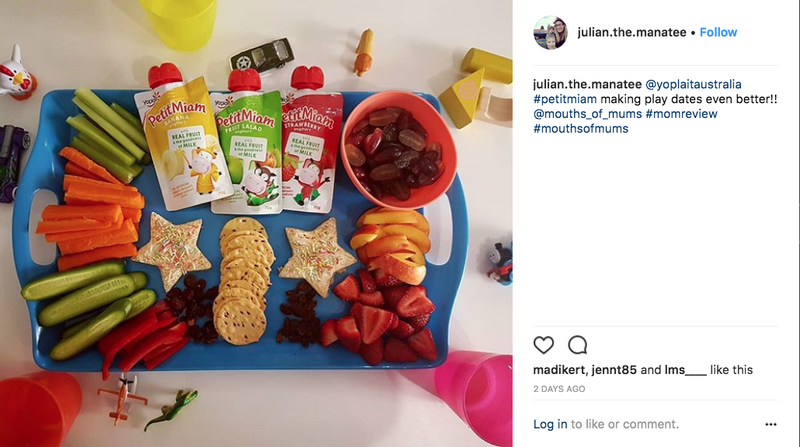 Especially handy for snacks on the go, my kids also love Petit Miam frozen in their lunches, so they are still nice and cold at break time! Perfect for little hands to control. No spillage as in squeeze tubes. Range of flavours available. We always choose strawberry or blueberry as his preference but fruit salad is apparently ‘a-ok’. 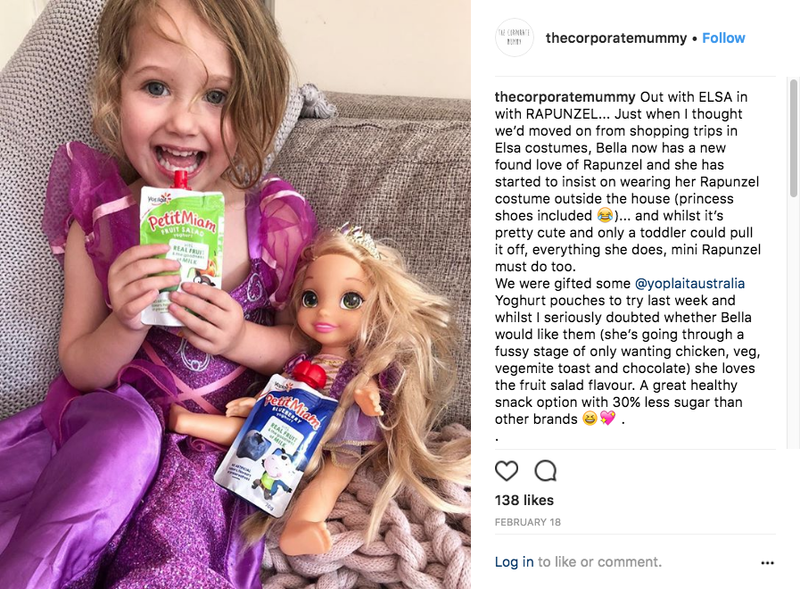 Sure, there is sugar in the yoghurt But Let’s be honest, there are worse snacks you can provide for your child. For a Kindy approved lunch box filler for $1.00 I’m ok with it. Easy and tasty, win win! !